Worcester County Massachusetts Sheriff Lewis G. Evangelides was elected to office in 2010. After learning that roughly 90 percent of the 1,100 inmates at the Worcester County Jail got there because of drug and alcohol addiction, Sheriff Evangelides began the Face2Face program to help prevent substance abuse. Over the past three years this program has allowed 100,000 students in Central Massachusetts to see the physical effects and hear a debunking of the myths of opioids, alcohol, marijuana and other drugs. The Telegram & Gazette posted an article yesterday about the Face2Face program. Mr. Evangelides told the students that they were members of “Generation Rx,” reflecting the rapid growth in abuse of prescription painkillers such as OxyContin, Percocet and Vicodin over the last decade. According to the U.S. Drug Enforcement Administration, in 2010 nearly as many youths tried prescription painkillers for the first time as tried marijuana. “Young people don’t even think they’re real drugs and they’ll send you to places you wouldn’t dream you’d go,” Mr. Evangelides said, as he showed video footage of the 24/7 monitoring and lack of amenities such as toilet seats that jail inmates live with. Even marijuana, which many baby boomer parents consider relatively safe, causes brain, behavioral and physical damage similar to that caused by alcohol and other drugs. Police Chief Alan Gordon said before the program: “We have a heroin problem. We have opiates. We just did a drug search here last week and had two hits of marijuana. We’ve had overdoses. The medical benefits of marijuana can be obtained in ways other than smoking it. The move toward legalization is a smokescreen and will have a seriously negative impact on our children and teenagers. If you believe that we need to legalize medical marijuana, take a look at the advertisements in the Sunday papers in California which promote doctors who will write prescriptions for the drug for anything from headaches to lack of appetite. Thank God for public servants such as Sheriff Evangelides who are willing to tell our children the truth about marijuana and other seemingly harmless drugs and to show them the results of recreational drug use. Unfortunately we are now living in a country where the presidential campaign is never ending. The latest example of this is the selective release of excerpts from Hillary Clinton’s forthcoming book “Hard Choices” by Politico. The excerpts deal with the attack on the Benghazi outpost on September 11, 2012. Fox News posted a fact check of the excerpt by Catherine Herridge, their Chief Intelligence correspondent. Ms. Herridge provides a very logical analysis of Mrs. Clinton’s narrative. Note to Mrs. Clinton–no one in Benghazi had seen the video. “From the data we have, it’s hard for us to reach the conclusion that the consulate attack was motivated by the movie. Nothing in the immediate picture — surrounding the attack in Libya — suggests that,” Jeff Chapman, chief executive with Agincourt Solutions (now Babel Street), told Fox News. Please follow the link to the Fox News article to read the rest of the fact-check. The upcoming release of this book is the first step in clearing the way for Mrs. Clinton to run for President. The book provides talking points for the Democrats on the investigating committee and will also make the Benghazi scandal old news by the time the election campaign is fully operational. I realize that this story may not interest everyone, but I love it. 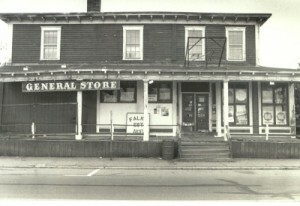 This is a picture of Falk’s Market in Plainville, MA. During the 1980’s, it was a place where the children in the town bought penny candy from Mr. Falk. It was the preferred destination of young children on bicycles. Over the years, Falk’s Market began to deteriorate. By the turn of the century, it was becoming an eyesore. Everyone in the town had fond memories of Falk’s Market, but no one seemed to have the knowledge or the money to know what to do with it. In 2013 it was torn down by its new owner–‘Wimpy Kid’ author, Jerry Kinney. Mr. Kinney had hoped to restore the building, but the foundation was beyond repair. The new building is currently under construction. It is wonderful to see the new building going up, but there is something even more wonderful in store for Plainville. The Sun Chronicle reported today that Mr. Kinney intends to use the lower level of the building to open a bookstore. They have said they want the new Falk’s Market to be a gathering place for the community and have set aside space in it for public meetings. 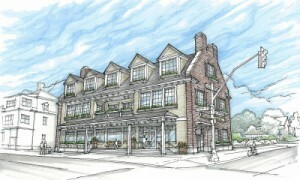 “When Julie and I bought the building we wanted to make sure it served to bring the community together,” Kinney said. Although rumors have been floating for months that the new building would house a bookstore, Kinney did not confirm it until he made a presentation at a conference in New York. He provided more details to The Sun Chronicle this afternoon. “We think that a bookstore will capture the spirit of what made Falk’s Market special and give people who live in Plainville and the surrounding towns a chance to come together,” he said. Thank you, Jeff Kinney. You are definitely an asset to the community. USA Today is reporting today that President Obama has accepted the resignation of Veterans Affairs Secretary Eric Shinseki. Fox News is reporting today that the President has also accepted the resignation of Jay Carney as White House press secretary. Deputy Secretary Sloan Gibson will take temporary charge of the department, Obama said, adding that he will nominate a new permanent secretary soon. Obama began what he called a “serious conversation” with Shinseki Friday just hours after the VA secretary apologized to all veterans and the nation for scandal involving the systemic delay of health care to veterans. While accepting Shinseki’s resignation, Obama went out of his way to praise the retired four-star general. Secretary Shinseki is an outstanding soldier, but he obviously did not have the management skills to solve the problem at the VA. It is questionable if any person alive has those management skills. I suspect Mitt Romney does, but obviously, his talents will not be tapped. White House Press Secretary Jay Carney is stepping down, ending a lengthy term in what is considered one of Washington’s toughest jobs. Carney has served as President Obama’s lead spokesman since 2011. The president interrupted Carney’s daily press briefing to announce his departure, calling him one of his “closest friends” and a trusted adviser. Jay Carney used to be a reporter. I wish him well in future endeavors, but I have to admit that I will never again believe anything he reports. Yesterday George Will posted an article at National Review Online about the sluggish economic recovery under President Obama. When Ronald Reagan took office in 1981, the unemployment rate was approximately 7.5%. By January 1, 1983, the unemployment rate had risen to 10.4%. By January 1, 1988, the unemployment rate was 5.70%. Presidential economic policies do impact the economy. One of the things that is slowing down the recovery in our consumer-drive economy is the amount of student loan debt. Student loan debt is currently the fastest growing debt–larger than credit-card or auto-loan debt. Another factor is the retirement of the baby boomers. In April, the number of persons under 25 in the workforce declined by 484,000. Unsurprisingly, almost one in three (31 percent) persons 18 to 34 are living with their parents, including 25 percent who have jobs. These are not positive numbers. There is, however, something new under the sun. The Pew Research Center reports that Americans 25 to 32 — “Millennials” — constitute the first age cohort since World War II with higher unemployment or a greater portion living in poverty than their parents at this age. But today’s Millennials have the consolation of having the president they wanted. At some point the Millennials may realize that elections have consequences and that they have voted themselves out of jobs. Katie Pavlich posted an article at Townhall.com today about the revised Gross Domestic Product (GDP) number from the first quarter of 2014. Initially, the GDP growth number was listed at just .01 percent. That number has been revised downward to -1 percent. 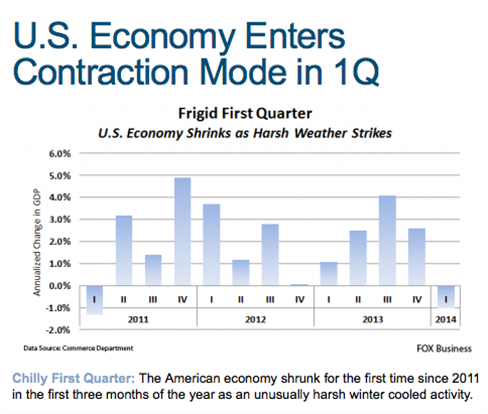 If the GDP number shrinks two quarters in a row, the economy is considered to be in a recession. It is time for the Obama Administration to examine its economic policies. One way to boost the economy would be to approve the Keystone Pipeline and begin to develop America’s energy resources. Why Are We Doing Things Like This To Our Veterans? Yesterday a website called Tea Party Command Center Blogger Spot posted a story about a veteran‘s recent encounter with the IRS. I called my bank and was informed that the IRS had sent a letter demanding that the bank take all of the available funds out of my account on the first day of the month and then wire them to them. The bank gave me a telephone number at which to call the IRS. After being placed on hold for a very long time- long as in a biblical age- I finally spoke with an agent. Long story short; they claim I made $157,000 in 2010 and that I owe them tons of money, and that until I pay it, a lien will remain on my personal bank account. At the beginning of 2010, I was still in the hospital recovering from injuries I’d sustained while serving in Iraq. I was released early in the year, but still did not find employment until October, and even then, it was only part time. I can assure you, as I did the IRS, that I did not earn $157,000.00. Actually, I earned less than $10,000.00 in 2010. I jumped at the opportunity to join his team and give my work, such as this piece, a wider audience. I can’t help but think that part of my decision to join Joe’s team may have played a part in being singled out by the IRS at this specific time and having my VA disability money taken from me in complete breach of federal law. As someone who had their taxes audited for the first time in 45 years after having made a contribution to the Tea Party, I can relate. It is becoming obvious that the IRS is no longer the apolitical agency it is supposed to be. It needs to be abolished and our income tax needs to be replaced by a consumption tax. For all of the class-envy people out there, that would cause the ‘evil rich’ to pay taxes on what they buy–if they live the life of luxury, they will pay more taxes. If they live like the rest of us, they will be taxed like the rest of us. It will end the need for the IRS, and solve the political problems the IRS has been having lately. What World Is He Living In? Four and a half years later, as you graduate, the landscape has changed. We have removed our troops from Iraq. We are winding down our war in Afghanistan. Al-Qaida’s leadership on the border region between Pakistan and Afghanistan has been decimated, and Osama bin Laden is no more. (Cheers, applause.) And through it all, we’ve refocused our investments in what has always been a key source of American strength: a growing economy that can provide opportunity for everybody who’s willing to work hard and take responsibility here at home. In fact, by most measures America has rarely been stronger relative to the rest of the world. Those who argue otherwise — who suggest that America is in decline or has seen its global leadership slip away — are either misreading history or engaged in partisan politics. Think about it. Our military has no peer. The odds of a direct threat against us by any nation are low, and do not come close to the dangers we faced during the Cold War. Meanwhile, our economy remains the most dynamic on Earth, our businesses the most innovative. Each year, we grow more energy independent. From Europe to Asia, we are the hub of alliances unrivaled in the history of nations. I will admit that I am very partisan, but that is not why I believe that America’s global leadership is slipping away. We have an American marine in prison in Mexico because he made a wrong turn. We have an American pastor in prison in Iraq because he is a Christian while his wife is in America. If America were stronger, both of these people would be at home in America. American energy independence will be achieved despite the government, not because of it. The Obama Administration has blocked oil exploration on federal land. The Obama Administration has also blocked construction of the Keystone Pipeline. The administration has spent millions of dollars investing in technology that has not yet been proven to work. The Obama Administration is a roadblock to energy independence–not a facilitator. This is the link to a transcript of the speech. Please read the whole speech and draw your own conclusions. Caroline Glick posted an article on her website today about the recent visit to Israel by Pope Francis. There were a few incidents during the visit that simply were not friendly to the Jewish state and its heritage. In one of his blander pronouncements during the papal visit, Netanyahu mentioned on Monday that Jesus spoke Hebrew. There was nothing incorrect about Netanyahu’s statement. Jesus was after all, an Israeli Jew. Netanyahu was probably flustered. True, at the time, educated Jews spoke and wrote in Aramaic. And Jesus was educated. But the language of the people was Hebrew. And Jesus preached to the people, in Hebrew. Israelis “object to that” because it is a lie. It seems like a minor point, but it is not. Jesus was Jewish. Period. Consider first Francis’s behavior at the security barrier. Reasonable people disagree about the contribution the security fence makes to the security of Israelis. But no one can reasonably doubt that it was built to protect Israelis from Palestinian terrorist murderers. And Francis ought to know this. Francis’s decision to hold a photo-op at the security barrier was an act of extreme hostility against Israel and the Jewish people. As the former Cardinal of Buenos Aires, Francis may have heard of the November 2002 massacre at Kibbutz Metzer. Metzer was founded by Argentine communists in the 1950s. Metzer is located 500 meters from the 1949 armistice lines which made it an obvious beneficiary of the security fence. But true to its radical roots, in 2002 members of the kibbutz waged a public campaign against the planned route of the security fence. They feared that it would, in the words of Metzer member Danny Dovrat, “ignite hostility and create problems” with the kibbutz’s Palestinian neighbors. Thanks to that concern, on the night of November 10, 2002, a gunman from the “moderate” US- and EU-supported Fatah terror organization faced no physical obstacle when he entered the kibbutz. Once there he killed two people on the street and then entered the home of Revital Ohayon and executed Revital and her two sons, Matan, 5, and Noam, 4 years old. The Catholic Church does not have a good record in supporting Israel or the Jewish people. Pope Francis needs to condemn the killing of innocent civilians by the Palestinians rather than support a government that has chosen to purchase arms instead of building infrastructure with the money given to it by the United Nations and other countries. Last week the Daily Caller posted a story about changes Australia is making to its global warming budget. …But Abbott (conservative Liberal Party Prime Minister Tony Abbott) shows no signs of slowing down in his quest to repeal the country’s environmental laws, which have slowed economic growth, including mining taxes, green energy funding and the carbon tax. The carbon tax was imposed by former Labor Prime Minister Julia Gillard in the summer of 2012, and quickly became unpopular as businesses and households began to bear the costs of higher power bills and higher inflation. Could we invite Prime Minister Abbott to come and speak to Congress? Man-made global warming is a hoax. There was global warming in the Middle Ages before factories, coal-burning electric plants, and SUV‘s. Climate is cyclical. In the 1980’s we were supposed to panic over “The Coming Ice Age” as reported by Time Magazine. Carbon taxes are economic vandalism. Thank you, Prime Minister Abbott for speaking the truth. Today’s Daily Caller posted an article about a suggestion the Obama Administration has made to change the legal system in Hawaii. This proposal will not bring unity to Americans–it will separate a group of Americans along racial lines. That sort of separation is not good for the country or the people involved. We saw how well it worked for the Indians. On Sunday, Real Clear Politics quoted a transcript of some comments made on Fox News Sunday by Kimberley Strassel describing how the Obama Administration handles scandals. CHRIS WALLACE: Kim, why do you think that the White House keeps playing this card? KIMBERLEY STRASSEL, WALL STREET JOURNAL: Well, because they can’t say that they did know or else the next question is going to be, why didn’t you do anything about it or why were you allowing this to go on? You almost — you have to wonder if there is a scandal manual in the top drawer of the president’s desk. It isn’t just the I heard about it from the media. There is five steps that this administration keeps repeating every time the scandal comes up. Step one is, well, I didn’t know about it, step two is to express great outrage. When that doesn’t work, step three is to fire some low level bureaucrat. STRASSEL: The study comes next. Then, you know, we’re going to wait and see what the I.G. says or the FBI investigation or whatever it is. And then when that doesn’t stop, six months later, you say it’s either A, done or B, all the results are the partisan pushed by Republicans. And it just goes on and on. You could take — this is not just the clips of him repeating again and again I didn’t know about this, when you listen to some of his press conferences, they’re eerie. It’s the exact same language every time. At what point do American voters realize what is going on here? The Daily Caller reported yesterday that Iran‘s supreme leader, Ayatollah Ali Khamenei has stated, “Those [Iranians] who want to promote negotiation and surrender to the oppressors and blame the Islamic Republic as a warmonger in reality commit treason.” He made this statement in a meeting of members of parliament. “The reason for continuation of this battle is not the warmongering of the Islamic Republic. Logic and reason command that for Iran, in order to pass through a region full of pirates, needs to arm itself and must have the capability to defend itself,” he said. Meanwhile, Iran has made the following demands in the negotiations regarding its nuclear option– the expansion of the country’s research and development for its nuclear program, the need of the country to continue enrichment, and the fact that the country’s ballistic missile program — despite U.N. sanctions — is not up for negotiation. Historically, Iran has negotiated with the west regarding its nuclear program when it needed time do continue the program. These recent statements illustrate that Iran is not really interested in a negotiated solution to the threat its nuclear program poses. Iran is only interested in setting up a world-wide caliphate. If we don’t wake up soon, we will be dealing with another North Korea. This post was written by a friend of mine who is retired from the Marine Corps. She is an Iraqi war veteran, and I wanted to share her thoughts on Memorial Day. I grew up in an affluent neighborhood in the Bay Area in California–the type of place where people speak of being proud to be Americans, but only because it is a place where they are allowed to live their accustomed lifestyle. But then again, it was also in the 1980s, a time of peace and prosperity when it was easy to say you love this place. Time had healed the bitter sentiments surrounding Vietnam, and we could all be happy dancing in a ring around the sun, so to speak. I have now seen life further from the Utopian suburbia of my youth than just about anyone there cares to know. The reality, now, is that we are not a country experiencing peace and prosperity. But that shouldn’t make us any less proud. I am back in my childhood home this weekend, and it got me thinking about what Memorial Day is. I was here to attend my sister’s Bridal Shower–a gathering of women, most of whom I have known from childhood. As the token neighborhood veteran, I always get quite a few “thank you for your service” niceties. While the sentiments are always appreciated, I am not ultimately the one who should be thanked. It’s the one who didn’t come home–the one who never got to hear a “thank you for your service.” The one who never got to see a yellow ribbon tied around a tree. They found this country worth dying for, so, in their honor make this country worth living for. We are engaged in what has been called “The Long War.” It may be a long time before we can agree to call our country “at peace.” So make it worth living for now. Honor those who have giving all by living and drinking in the freedoms of this land. Go exercise your right to freedom of speech and religious practice. Be proud of what makes you unique. Speak for the war, against the war, be gay or straight, worship your god. And do in a way worth living — because thanks to those who have died, you can do it freely. Drink this freedom in. And through living life, we can make this country feel at peace. As for me, right now I’m going for a run. Because that is what my dear friend the late Maj Megan McClung would want to do today. Happy Memorial Day, God Bless all who have gone, and all who are yet to come. On Thursday, Heritage.org posted an article about news coverage of the coming Benghazi hearings. Recently emails obtained by Judicial Watch through the Freedom of Information Act (FOIA) have shown that previous investigations have not had access to the information they needed to investigate the attack at Benghazi. I think Mr. Zucker’s statement is one reason CNN is rapidly losing viewers. I’m sorry Mr. Zucker feels that covering the Benghazi hearings is not something he needs to do–the hearings themselves have news value–Americans want to know what happened that night and why we did not come to the aid of those under attack. The article also reminds us that the Democrats debated whether or not they wanted to be included in an investigation of Benghazi, even after more emails that had been kept from other investigations surfaced. The Democrats really did not seem to want to find out what happened or why emails and other information had been withheld from the investigating committees for so long. This entire investigation could have ended a year ago if the Obama Administration had simply provided Congress with the information they requested. That would have been so much easier. Exactly Why Is The Law There? Yesterday the Washington Post reported that Representative John Conyers would be on the election ballot in Michigan. Representative Conyers was originally taken off the ballot by election officials because he had failed to secure enough valid petition signatures. Some of the people who collected signatures were not registered voters, something that is required by Michigan law. U.S. District Court Judge Matthew Leitman issued an injunction ordering Conyers back on the ballot just hours after state elections officials upheld an earlier ruling that had kept him off for failing to secure enough valid petition signatures. At issue was the question of whether a law requiring signature gatherers to be registered voters is constitutional. Leitman said he was not issuing an opinion on that question Friday. But because the plaintiffs challenging the law “have shown a substantial likelihood of success” and “because time is of the essence,” he said he opted to order that Conyers be put back on the ballot. Leitman’s order came the same day the Michigan secretary of state‘s office upheld a decision handed down May 13 by Wayne County Clerk Cathy Garrett. Garrett’s office said Conyers submitted far fewer than the 1,000 valid signatures required to appear on the ballot. Leitman’s decision puts him beyond the threshold. There is a problem with the logic here–there is a law in place that governs the collection of signatures. If voters or state legislators are unhappy with that law, they need to change it. This is an example of a judge saying he didn’t want that law to apply, so he overruled it. Would the judge have made the same decision for another candidate? Do voting laws apply equally to all candidates? According to the U.S. Constiution and most of the state constitutions, laws are made by legislative bodies–not by judges. As the select committee to investigate Benghazi gets organized, gets its security clearances in order, plans its witnesses, etc., there will be those who hope to obstruct its mission. There will also be those who are in search of the truth about what happened that night. Allen West posted an article on his website today that illustrates why we need the select committee. I strongly suggest you follow the link and read the entire article. …I learned about the proximity of the staging area of the attack to the U.S. Consulate in Benghazi, and the attackers were indeed Ansar al-Sharia, a group affiliated with al-Qaida. I came to understand why Ambassador Chris Stevens was there in the first place and that he had in fact requested better security but was denied – the question is, by whom? And I learned that the Martyrs of 17 February Brigade were in charge of security and were the ones who opened the gates, then fled. I strongly suggest that you read the entire article. There are many things that the committee needs to investigate about what happened that night in Benghazi. Yesterday PJ Media posted an article about an email that has been released as part of the ongoing investigation into Benghazi. The email was sent at 9:11 p.m. Eastern Time on the night of the attack on Benghazi. The email was sent to YouTube to warn of the “ramifications” of allowing the posting of an anti-Islamic video. Think about that for a minute. On November 4, 2012, I posted the timeline of the Benghazi attack (rightwinggranny.com). The attack began at roughly 4 o’clock in the afternoon Washington, D.C. time. By 9 o’clock the attack had been going on for five hours. By approximately 6 o’clock, the White House had received three emails blaming the attack on Ansar al-Sharia. Why in the world was the White House worried about YouTube and a video that no one had watched until the White House started talking about it? It’s time for a little common sense here. Protesters don’t usually carry mortars. Also, how many people in Libya have internet access? How many views had the video had at the time of the ‘protests’? He contends the document contradicts the White House assertion that it was the CIA who first pinned blame for the attack on protests in response to the anti-Islamic video. “The e-mail shows the White House had hurried to settle on a false narrative — one at odds with the conclusions reached by those on the ground — before Americans were even out of harm’s way or the intelligence community had made an impartial examination of available evidence,” Issa said. While the White House was ringing up YouTube, Americans on the ground in Benghazi were reporting that Ansar al-Sharia jihadists were running the attack. Personnel in Tripoli wanted to help. The White House settled on blaming a movie, rather than re-examining its own policies and decisions leading up to the attack, or sending in troops and air assets that could have saved lives, pretty darn early. And the terrorists who mounted the attack remain at large. The White House was more worried about public relations than it was concerned about the safety of Americans. On Tuesday, Investor’s Business Daily posted an article about the Veterans Administration scandal that is the Obama Administration’s scandal de jour. The treatment of our veterans by the Veterans Administration hospitals is a disgrace and is inexcusable. However, some of the excuses given by the Obama Administration and its supporters simply do not hold water. The actual numbers tell a different story–it really isn’t George Bush’s fault. The number of veterans is declining and the spending is going up, so what is going on? Some will argue that the increase in health spending was the direct result of all those wounded warriors coming back from Iraq and Afghanistan. But these vets aren’t driving VA costs higher. A Congressional Budget Office report found that they cost $4,800, on average, in 2010 compared with $8,800 for other veterans who used the system. It also found that while these Iraq and Afghan vets account for 7% of those treated, they were responsible for only 4% of its health costs. …What’s more, the main reason for the growth in enrollment in the VA’s health service wasn’t those two wars; it was the Veterans’ Health Care Eligibility Reform Act of 1996, signed by President Clinton, “which required the VA to provide care to certain types of veterans, such as those with service-connected disabilities, and permitted VA to offer services to additional veterans if funding permitted,” the CBO report noted. …That points to the fact that, unlike Medicare, Medicaid and, now, ObamaCare — which rely on private doctors and hospitals to provide subsidized or free care — the VA is a completely government-run system, with its own hospitals, clinics and providers. As the department notes, it operates the nation’s largest integrated health care system, with more than 1,700 hospitals, clinics and other facilities. For years, proponents of a single-payer health care system lauded the VA for this very reason, saying it was a model for the rest of the country. At best, the VA hospital scandal is the proof that socialized medicine is exactly the wrong prescription to solve the problems in the healthcare system in America. It’s not George Bush’s fault–the failure in the VA is due to the fact that socialized medicine does not work. Townhall.com posted an article today about a robbery in a North Carolina restaurant. Unfortunately, robberies in restaurants are not unusual and thus do not usually make the news, but this robbery had some special circumstances. North Carolina restaurant The Pit was robbed at gunpoint on Sunday. Normally, local crime stories like this wouldn’t merit a Townhall post, but this one is different: The Pit has a “no weapons” sign displayed prominently on its door declaring the restaurant a gun-free zone, and bans patrons from carrying concealed weapons. …Authorities said just before 9 p.m. Sunday, three men wearing hoodies entered the restaurant through the back doors with pistols, and forced several staff members to lie on the floor. Evidently the robbers did not read the sign on the door that said the restaurant was a ‘gun-free’ zone. Does anyone actually believe that if we take guns from law-abiding citizens, criminals will give them up and stop using them to commit crimes? Fox News is reporting today that Representative Nancy Pelosi has named the Democrats who will serve on the special committee to investigate Benghazi. Minority Leader Nancy Pelosi announced Wednesday that she will appoint the full complement of five Democratic members on the 12-member panel. She tapped five Democrats with experience in previous congressional investigations. The Democrats who will join seven Republicans are Rep. Elijah Cummings of Maryland, Adam Smith of Washington state, Adam Schiff of California, Linda Sanchez of California and Tammy Duckworth of Illinois. I would like to focus on the past behavior of one member appointed to that committee and his past behavior when serving on committees. Chairman of the House Oversight Committee Darrell Issa, along with five Subcommittee Chairmen are demanding Cummings (Democratic Ranking Member Elijah Cummings) provide an explanation for the staff inquiries to the IRS about True the Vote and for his denial that his staff ever contacted the IRS about the group. …Evidently Lois Lerner, former head of tax exempt groups at the IRS, was feeding Cummings information about True the Vote, one of the groups the IRS was targeting. Cummings was not sharing this information with the Committee. In 2012, both the IRS and Democratic Rep. Elijah Cummings were targeting the group True the Vote. We now have email showing contact between a Cummings staffer and the IRS over that organization. How much more contact was there? It’s one thing to write a public letter calling on a regulator to act. It’s another to haul the regulator in front of your committee, or have your staff correspond with or pressure said regulator, with regard to ongoing actions. That’s a no-no. If Representative Cummings represents the level of integrity of the Democrats on the committee to investigate Benghazi, we can pretty much assume that the stonewalling from the White House will continue. The Common Core State Standards (CCSS) is a set of national standards for kindergarten through grade 12 developed primarily by a nonprofit group called Achieve, Inc., in Washington, D.C. The standard was developed under the auspices of the National Governors Association (NGA) and the Council of Chief State School OFficers (CCSSO). Common Core was developed without state legislative authority–it was developed on a federal level. According to the U.S. Constitution, education is a matter left to the states–not the federal government. The incentive for the states to buy into Common Core was No Child Left Behind waivers and Race-to-theTop grants. The idea was to institute Common Core before anyone really understood what it was. Part of Common Core is extensive and invasive data collection on students and their families. To quote U.S. Secretary of Education, Arne Duncan (from a June 8, 2009, speech), “Hopefully some day, we can track children from preschool to high school and from high school to college and college to career.” Do you really want to subject your child to government tracking from the moment they enter preschool until they die? Another part of Common Core rarely mentioned is the unfunded mandates. Unfunded mandates are the things that will eventually bankrupt most cities and states. They include such things as employee retirement funding that does not set aside money in current budgets. Medical insurance for retirees that again is not funded in current budgets is also an unfunded liability. Common Core works in a similar way–new textbooks, instructional materials, data-tracking systems, and professional development costs are not included in the supposed cost. A recent study estimates that implementation will cost $16 billion or more nationwide–90 percent will be paid by states and local districts. We don’t need this extra expense in our state or local governments. These are some of the problems with Common Core. There are others that parents need to be concerned with–age-inappropriate lessons, lower high school reading standards, and politically charged history lessons. It’s time to let our states and local school boards set standards and chose curricula for our students. If you feel that your local school board is not doing a good job, you have the ballot box. The state of your children’s schools is your responsibility. On May 16 The Asian Tribune posted an article about the September 11, 2012, terrorist attack on Benghazi. The basic theory of the article is that the outpost at Benghazi was a CIA operation running guns to the rebels in Syria. It was on October 25 last year that FoxNews.com broke the story that a mysterious Libyan ship was reportedly carrying weapons and bound for Syrian rebels would have had some link to the September 11 terror attack on the U.S. ‘post’ in Benghazi. Why do we use the term ‘post’ in this report? Because when changes were made to the Benghazi attack story by the Obama administration it changed from ‘American Consulate’ to ‘American Post’. The reason: Benghazi operation was entirely a CIA operation. Through shipping records, Fox News has confirmed that the Libyan-flagged vessel Al Entisar, which means “The Victory,” was received in the Turkish port of Iskenderun — 35 miles from the Syrian border — on Sept. 6, just five days before Ambassador Chris Stevens and three other American officers were killed during an extended assault by more than 100 Islamist militants. On the night of Sept. 11, in what would become his last known public meeting, Stevens met with the Turkish Consul General Ali Sait Akin, and escorted him out of the ‘posts’ front gate one hour before the assault began. Please follow the link above to read the details of this story. As I stated in the title, this is a theory. It may be a plausible theory, but it is a theory. A number of conservative voices have suggested that because our government is currently broken so badly we need to call an Article V Convention. An Article V Convention is one of two ways to amend the U.S. Constitution. According to Article V, Congress must call for an amendment-proposing convention, “on the application of the Legislatures of two thirds of the several States,” meaning 34 state legislatures would have to submit applications. Once an Article V Convention has proposed an amendment or amendments, then the amendment or amendments would have to be ratified by three-fourths of the states (38 states) in order to become part of the Constitution. The other method of amending the Constitution is a vote by two-thirds of each house of Congress. Mr. Lewis is the co-founder of the Patriot Coalition, a group that opposes an Article V Convention. He made some very valid points during his presentation. He pointed out that the Constitution is not the problem–the fact that our government is not following the Constitution is the problem. If those in power are not following the current Constitution, what makes us think that if we change it they will follow the new Constitution? That is a very good question. The danger of an Article V Convention is that once the convention is called, Congress is in full charge of making the rules. If we cannot trust Congress to be above special interests and politics with the power they currently have, why should we believe that they will behave well in putting together the rules for an Article V Convention? Another good question. If Congress makes the rules for an Article V Convention, there would be no guarantee of a one state/one vote principle at the convention. All bets are off as to how issues would be discussed, decided, or voted on. That is a scary proposition. There are some arguments for an Article V Convention. Washington stopped listening to the voters a long time ago, and most voters stopped paying attention to Washington except for the two to three weeks before Election Day. Change is definitely needed, I am simply not sure if an Article V Convention is that change. I believe that it would be too easy for special interest groups and people who do not support our current Constitution to do things that all Americans would regret.